As kids, David Castilla and his older brother Gil loved everything about snakes and reptiles. Growing up in Tampa, Florida, the boys’ passion eventually led to jobs working with snakes at a local theme park. It was there that they were first exposed to alligators. The brothers eventually turned their love for the large reptiles into a traveling show. 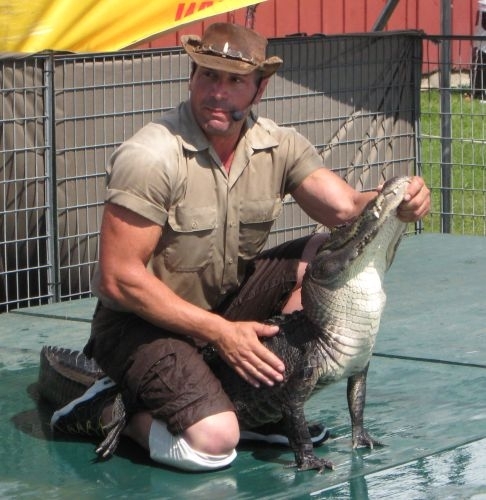 VPR’s Nina Keck caught up with David Castilla performing his midday alligator show at the Vermont State Fair. A new biography of Samuel de Champlain casts a fresh light on the 17th century French voyager who founded Quebec and explored the lake that bears his name.